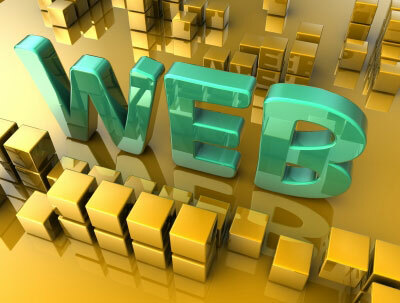 As you build a website from the ground up, there are seemingly endless layers to consider. The content that will actually be seen by visitors is, unsurprisingly, the most important layer of your site, but there is plenty of code that exists behind the scenes as well. Even if you don't consider yourself to be a programming pro, one set of hidden code that basically any webmaster can edit is known as metadata. A set of tags that were originally implemented into HTML code as a way of helping teach search engines about the content of your page, the importance of metadata has changed dramatically over the last several years. These tags still have the potential to affect your site's SEO rankings, but their impact isn't as black and white as it once was. Here is a look at the three most basic meta tags to help you understand how to make the best use of them. The text that is displayed at the top of a browser window when viewing one of your web pages is known as the title tag. Currently the most important meta tag when it comes to SEO, the title tag also contains the text that search engines consider to be the name of your page (so it will be the title that shows up in search results). The way you craft your titles will impact search rankings, and you should try to include the most important keywords related to your page in the title tag. Though title tags can be long, it's a good idea to put the most important keywords up front so they don't get truncated in the search engine results. You should also remember that this is the one piece of metadata that laypeople viewing your page will see, so it should be a logical title rather than a nonsensical combination of various keywords. The meta description tag has fallen from grace to an extent over the last few years as well, but it still plays an important role. This tag allows you to type out a summary describing what each page on your site is about. Often, this text will then show up beneath the title of your page on search engine results to give searchers an idea what they will find if they click the link. Even though Google has said that it doesn't mine the meta description for keywords like it once did, this tag can still be the deciding factor that determines whether potential visitors choose your site from among thousands of search engine results. You should always try to put the effort into populating this tag with compelling content as you never know when it might convince someone to head to your site and learn more. A few years ago, the meta keywords tag was another of the most important pieces of metadata on any website. A compilation of various keywords that described the content of each page, this tag allowed early search engines to index sites and display relevant results. Unfortunately, webmasters realised that they could take advantage of the meta keyword tag by "stuffing" it with popular search terms that were actually completely unrelated to the topic of their site. After slowly drifting away from meta keyword tags as search engine technology developed, Google finally announced that its search results would no longer take these keywords into consideration at all. Instead, the search engine bots would crawl through the content actually found on each page to determine keywords. You can still choose to add them to your website, but they won't help your SEO as Matt Cutts explains in this video. As technology continues to grow and evolve, the SEO value of metadata is likely to undergo more major changes, but understanding these three tags will help you decide how to best spend your time while you build your website today.